When estimating the costs of long-term care, "the first step is to know your current and future health status." We hear that message from financial advisors, but it's not easy to measure. However, it makes sense that as health declines, the medical costs will rise and be a disaster on the wallet. The Centers for Medicare and Medicaid, 2012, say that medical expenses accounted for 14% of a Medicare household budget. That's nearly three times more than a non-Medicare plan at 5%. The data stayed unchanged between 2002 and 2012, but total costs increased. For individuals living with several chronic conditions, expenses elevated as much as seven times over those with one. In a lifetime, one can expect the premiums, co-pays, and gaps in Medicare for a couple, age 65, in good health to spend $266,589. If you add dental, vision, co-pays, and all out-of-pockets, costs could rise to $394,954. So, you see why it's necessary to predict medical expenses. To help retirees prepare, the Seniorcare.com Aging Council recommends these steps. BetterHealthWhileAging.net - Review your health status and chronic conditions with your primary care doctor every 1-2 years. If you have a health crisis, learn what declines to expect. I always tell my patients that we are going to hope for the best, but plan for the likely and the entirely possible. Senior-Planning.com - Learn your personal and family health history and identify your goals for maintaining control of finances and independence. Gain a thorough understanding of long-term care, its costs, Medicare, and Medicaid, and available resources. Talk with the family about who will take care of you, housing considerations, and Medicaid eligibility planning. AgingWisely.com - You can't predict what's going to happen. So, we recommend getting organized for what might come: execute legal docs, organize paperwork, pull together your medical records, talk to key helpers about how to access the information. DrKimsAgeWellSolutions.com - If you're working, strive to accomplish a high level of wellness and save money before retirement. It's unnecessary to end up in ill-health after a lifetime of hard work. SandwichINK.com - When buying a home in retirement, consider a home designed for "aging in place." Look at zero-step entry, single story homes, bathrooms with walk-in showers, higher toilets, and lowered cupboards. The design helps one age in place. SeniorCareCorner.com - Get a health check-up! Determine your health status and take steps to change your lifestyle to reflect optimal health. Chronic disease and polypharmacy increase long-term care need and cost. Be active and eat nutritious foods. It's never too late to change. Rein Tideiksaar, Gerontologist - Healthcare needs are best evaluated or measured not so much by the number or severity of chronic health conditions, but by monitoring an elder's functional capacity. Can the person walk, balance, transfer, etc. in a safe manner. The function provides the individuals with early warning signs of future problems. 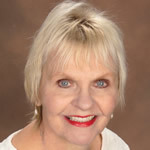 Carol Marak, aging advocate, columnist, and editor at SeniorCare.com. She earned a Certificate in the Fundamentals of Gerontology from the University of CA, Davis.